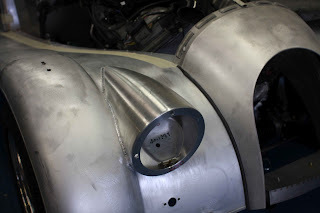 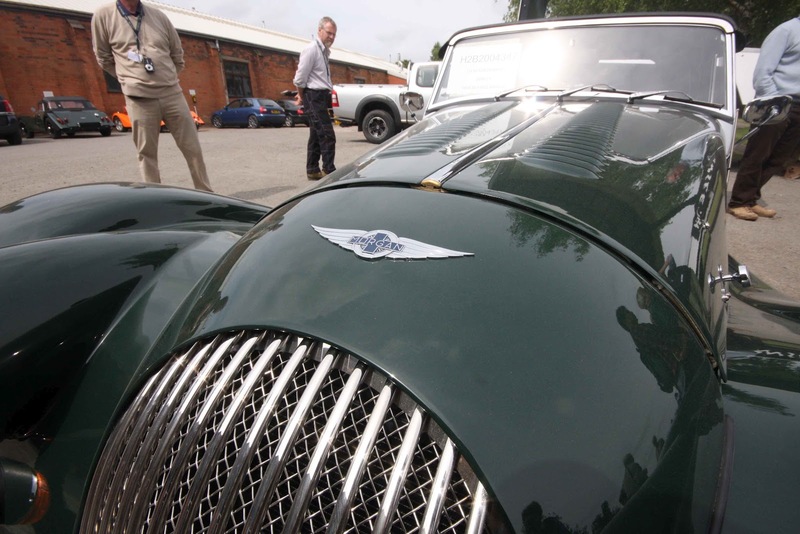 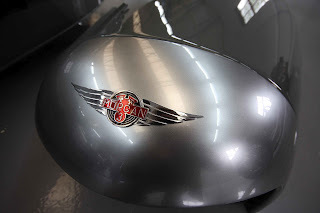 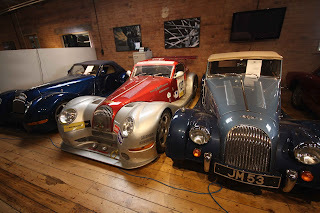 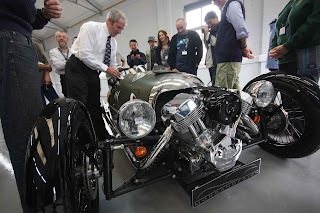 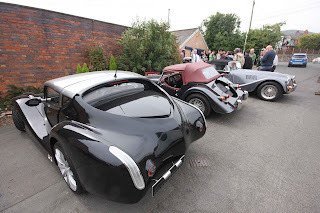 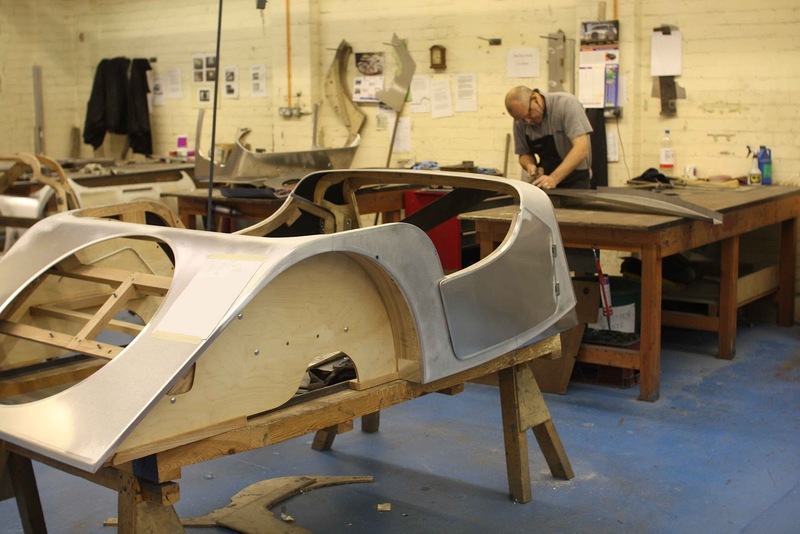 I just found these photos from a great tour of the Morgan car factory last year, hope you enjoy them as much as I did the tour. 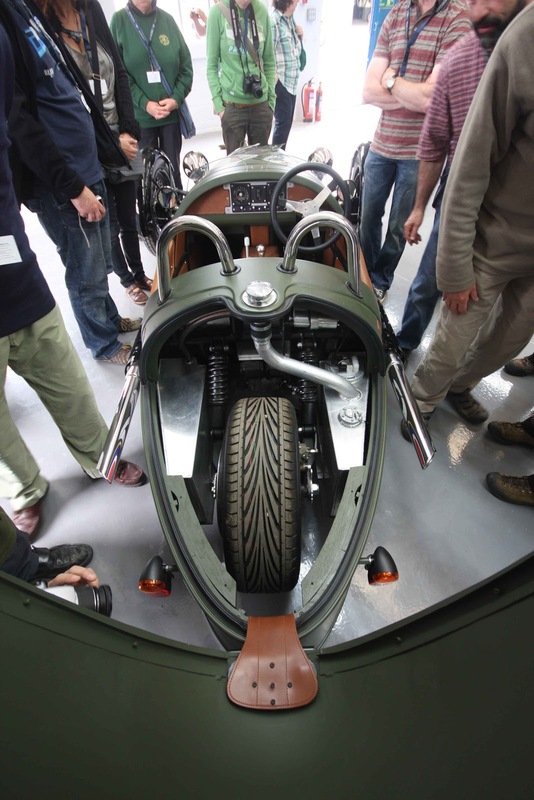 Looking down on the back wheel of the new 3 wheeler. and from the front, can't beat a big V twin engine. 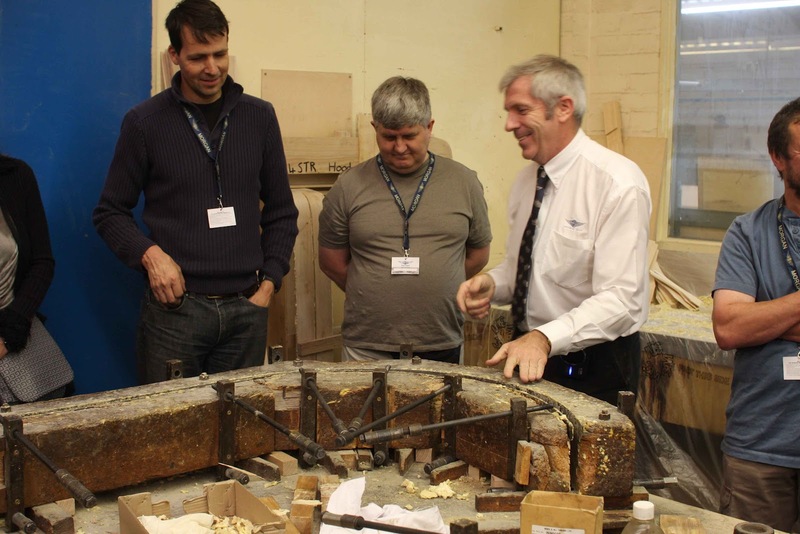 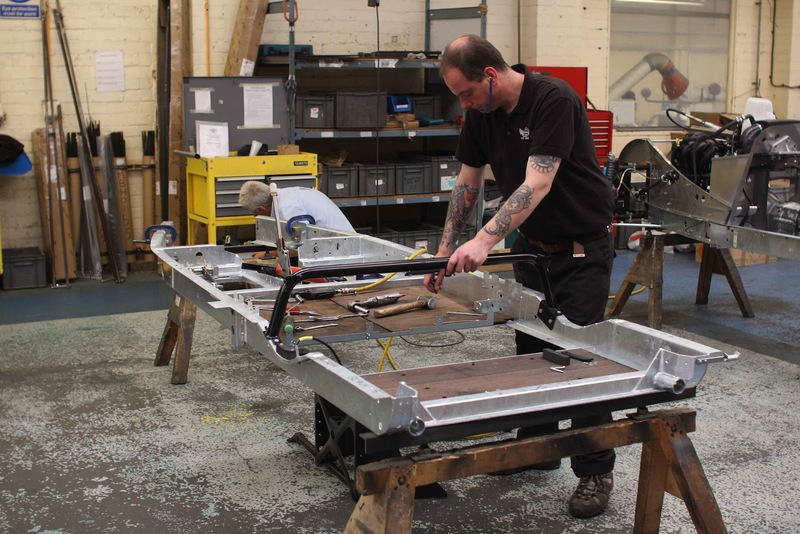 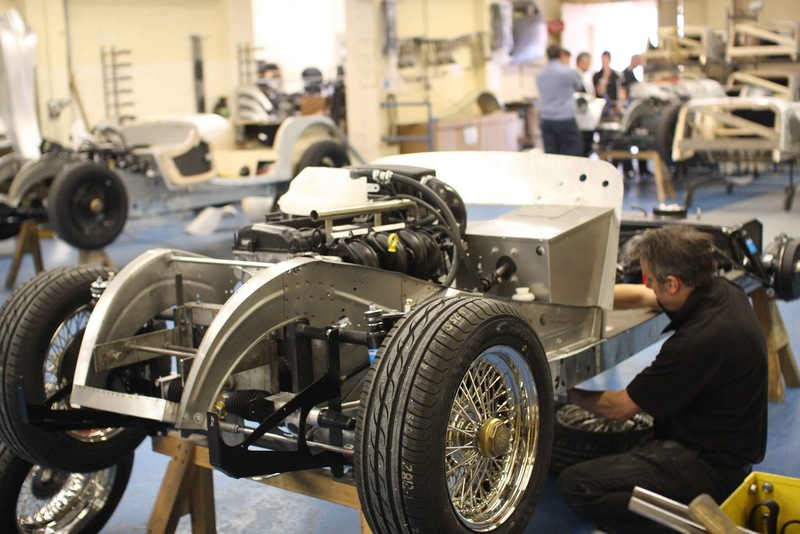 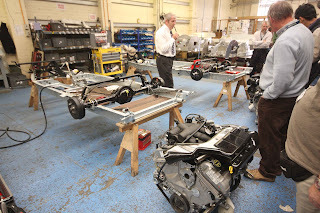 Then into the first workshops where they put together chassis and engine. Next the bodywork shop, lots of handwork here, just like it used to be done. 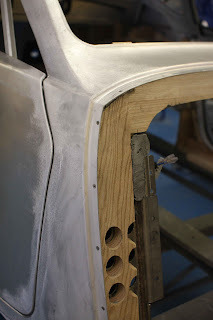 Bodywork is still all supported on ash frames, is this the 21st century? 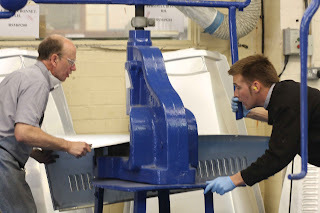 These guys were using the lovely fly press to put the vents into a bonnet. 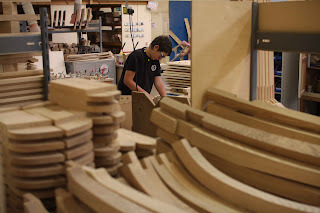 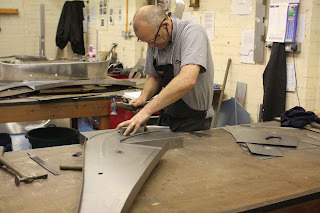 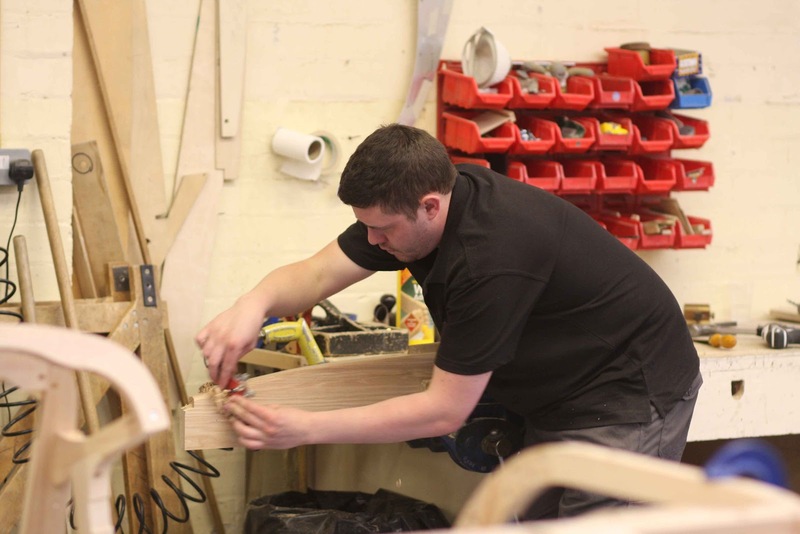 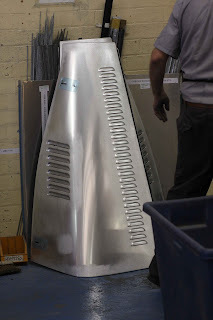 cutting out and fitting body panels by hand. 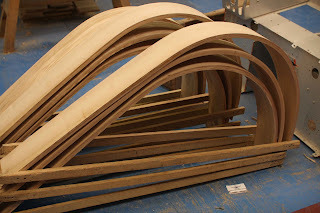 and the clamp for laminating them. 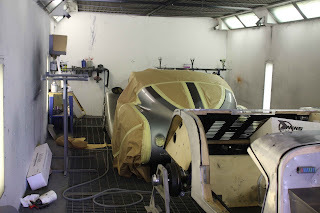 into the spray booth, all by hand of course, not a robot in sight. 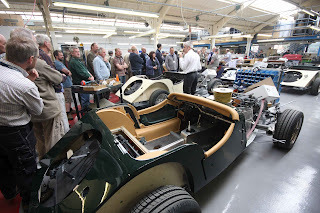 now our tour gets to the fitting room where all the leather and upholstery is added. 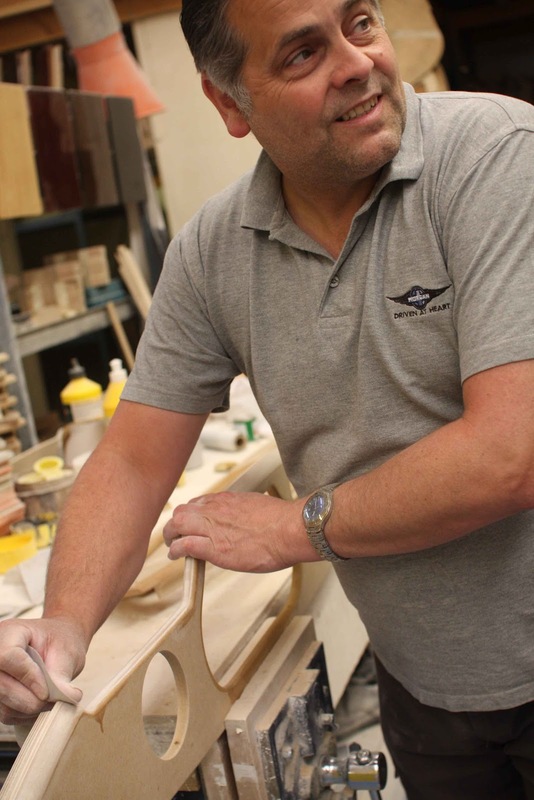 again everything is made from scratch in this room and skilfully tweaked to fit by hand. 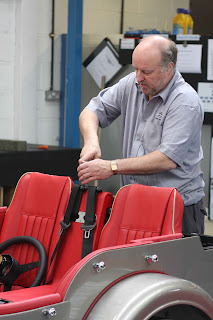 fitting seat belts and steering wheels. 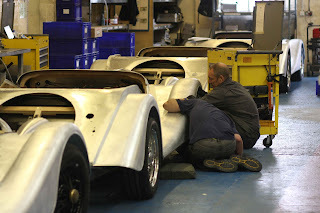 apprentice work, a final polish. 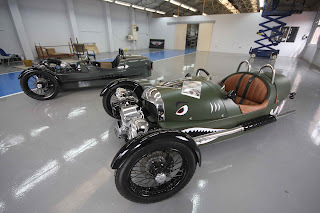 I would love to own one. Our vicar used to race a supercharged Morgan and has a lovely original 3 wheeler which I have driven, it was surprisingly swift and agile for a 80 year old car and everywhere you go in one people grin and wave.